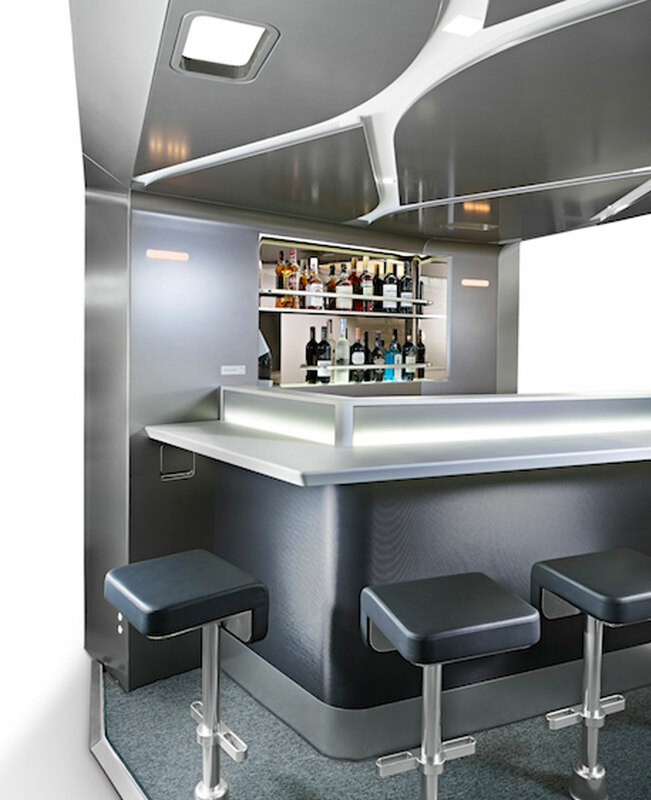 A collaboration between Virgin Australia, AIM Altitude and design house, Tangerine. 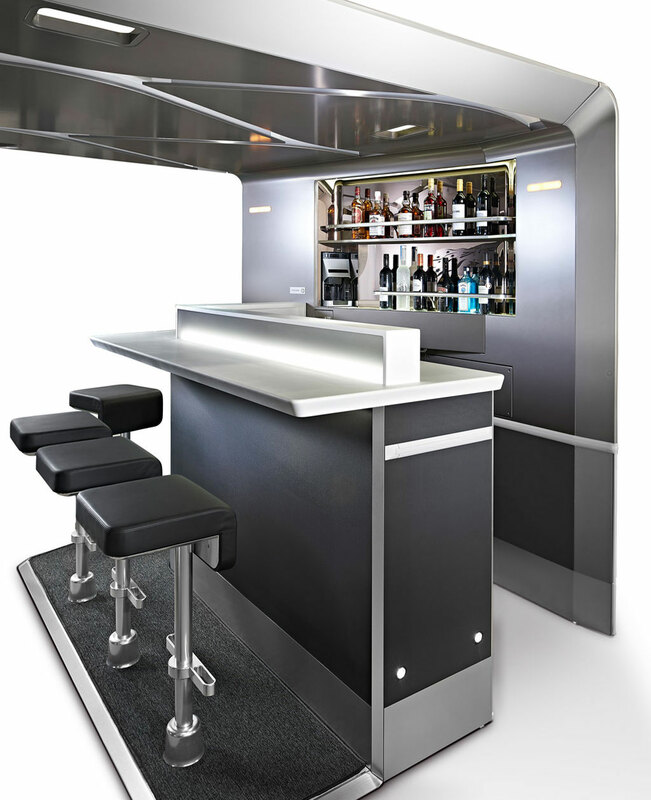 Manufactured in the UK at AIM Altitude Cabin Interiors, the monument includes a Corian backlit bar countertop light box. 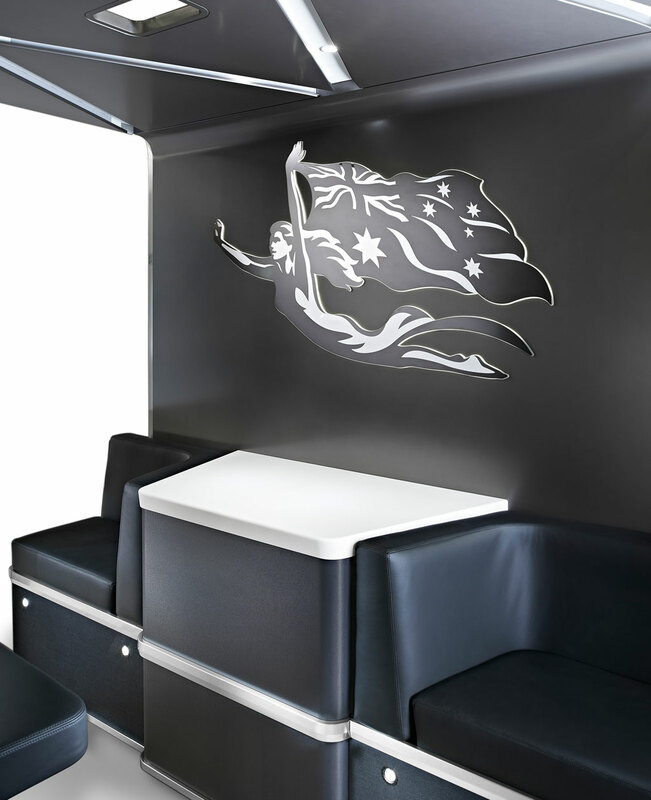 Lighting embedded within Virgin Australia’s Flying Maiden logo, a contemporary leaf-pattern ceiling, as well as bar-edge lighting designs, come together to create a zone intended to feel more spacious and offer a much improved passenger and crew experience. The result – a relaxing and luxurious environment in the Door 2 zone.